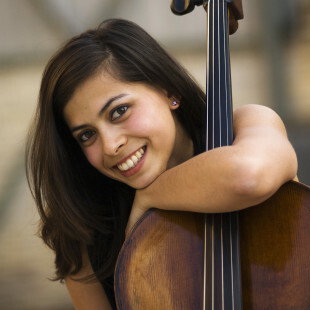 Clonlara School’s Off-Campus Program gives K–12 students the freedom to pursue their passions and interests. By design, we do not have a preset curriculum so that each family can have the flexibility to choose what and how their child learns, with the support of a knowledgeable Clonlara advisor. Off-campus families partner with an advisor to develop their own ideas about how they want to school, from the use of structured lesson plans to open discovery methods and everything in between. Along the way, they work with their advisor to design an educational plan to fit their student’s unique learning style, needs, and goals. Advisors check in with families throughout the semester and are available as needed to make customized recommendations for learning activities, educational resources, and more. In addition, Clonlara’s documentation process provides off-campus families with official records that seamlessly transfer to other schools. You can also call us at 734-769-4511. Learning should be fun, especially in the early years when children are getting a sense of themselves and the world around them. With the support of their Clonlara advisor, parents oversee their student’s learning and are asked to submit two progress reports each year. Report cards can be issued upon request. Clonlara’s off-campus high school students have ultimate choice in following their interests and can earn credit by pursuing their passions. At the end of each semester, they submit a credit request form for each course completed, which their advisor reviews to issue high school credit. Upon meeting Clonlara’s graduation requirements, the students receive an accredited private school diploma. *This rate applies to high school seniors who were not enrolled in Clonlara the previous school year and who wish to graduate in one year. Contact us to enroll and be sure to review our Senior Policy. For your convenience, Off-Campus Program tuition may be paid by credit card or check in up to four installments. Read more about our tuition, fees, and payment options. Off-campus families receive an education guide, which contains an overview of how our program works; tips for getting started; and descriptions of different learning styles, educational resources, and approaches to schooling. Families also receive questionnaires to help their advisor understand their student’s curiosities, strengths, interests, talents, needs, and goals. Throughout the process, parents and students document their educational activities and choose methods for evaluating and measuring their learning. They submit progress reports (at the elementary level) or credit request forms (at the high school level) for their advisor and the registrar to review and approve. Upon request, advisors can provide educational standards and benchmarks for parents who want to know how their student compares with other children their age. In addition to our full-time Off-Campus Program, Clonlara offers a range of enrollment options that can be tailored to a family’s unique needs and circumstances. Please contact us for more information or to enroll in these programs. Earn additional credits beyond what their school offers. Enroll part time in Clonlara School’s Off-Campus Program and part time in another school. Receive guidance and support from a Clonlara advisor who will help develop and implement a plan of independent study. Need credit recovery due to illness, learning disabilities, or other reasons. High school students may earn up to a maximum of 2 credits. Are gifted and have a special interest they want to study in-depth. Independent study work must be completed within a 12-month time period. Want to learn a subject not offered at their regular school. The student’s regular school (not Clonlara) holds the transcript. Are experiencing health issues that prevent them from attending school full time. Clonlara transfers high school credits earned in the Off-Campus Program to the student’s regular school. Before enrolling, families should contact contact us and speak with the guidance counselor at their regular school to determine how short-term enrollment might fit with their overall educational plan. The student’s school must pre-approve the credits to be earned while enrolled in Clonlara’s short-term program. To request pre-approval, download our Verification for Accepting Credits Form (PDF) and have it completed by a guidance counselor or other official at the school to which the credits will be transferred. After Clonlara receives the signed verification form, we will send a Short-Term Enrollment Form to be completed by the family. Need credit recovery? Want to study something unusual or spend the summer reading what you want? Going sailing around the world? Attending an academic or arts camp? We can help turn your natural drive to learn into high school credits! Summer Credit Program enrollment runs March 1–June 30. High School students (grades 9–12) at both public and private schools, who are not already enrolled with us, can undertake independent study over the summer and have Clonlara credits applied to their regular high school transcripts. Almost any undertaking over the summer can be developed into credit worthy learning. Look at what you love to do, learn as much as you can about it, make connections with other people, places, and things, and you have the foundation for credit. Document the materials, experiences, and time spent immersed in any topic, identify what is new and interesting to you about it, and you are on your way. Note: Students who are continuously enrolled in Clonlara’s Off-Campus Program do not have to pay for the Summer Credit Program between their school years at Clonlara. Summer tuition is included when students re-enroll for the next school year. 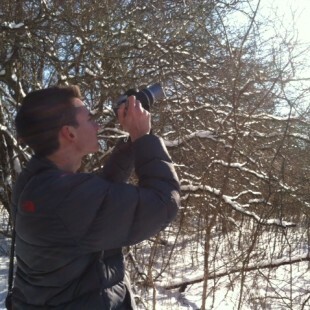 Students create individual course titles and develop ideas for course content for each subject. Have fallen behind and need credit recovery. Students can take more than one course and earn from .5 to 2 credits. Are academically accelerated and want to take unusual courses or work on more advanced subjects. Coursework can be based upon independent study, one or more summer academic or experiential learning programs, travel, a summer job, an internship, or other creative endeavors. Want to try homeschooling or independent study for the first time. Credits must be pre-approved by the student’s home high school. Have summer plans that are credit worthy. Students can purchase online courses if they want a structured curriculum to take over the summer. Want to travel; work at a job; develop a project; do community service; or study music, art, theater, sports, and more for credit. Before enrolling, students should download the Summer Credit Program Verification Form (PDF) and have it filled out and signed by a guidance counselor or other official at the school to which the credits will be transferred. Pre-approval ensures that the credits will count toward the student’s graduation requirements. After Clonlara receives the signed verification form, we can proceed with the enrollment process. A customized mix between campus and off-campus learning. A combination of direct instruction, off-campus advising, and independent study options. A student-driven pace with parent input. Core studies in language arts, math, science, and social studies. Any student in grades K–12 may concurrently enroll in the Off-Campus Program and another school. 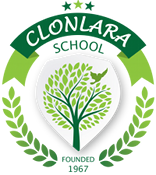 Clonlara School can grant credit and have the credit transferred to the other school, or we can accept credits toward a Clonlara diploma from other accredited schools. At the high school level, students usually work with their guidance counselor to choose what classes they want to take as independent study classes with Clonlara advisor services. The classes they choose should fit into their goals for high school graduation and post-graduation plans. Students receive all the same services and benefits of Clonlara’s K–12 students. Want to undertake independent studies. Credits must be pre-approved by the student’s regular school. Want to study at a faster or a slower pace than the classroom allows. Upon completion of approved credits, student submits a transcript request for Clonlara School credits. Want to study a subject not offered by their high school. For each year that a student re-enrolls, a new signed credit verification form must be submitted. Benefit from not being in a classroom full time for emotional or health reasons. Have a learning disability and need additional support provided outside the classroom. Are gifted and want to study a subject in greater depth. Before enrolling, families should contact contact us and speak with the guidance counselor at their regular school to determine how dual enrollment might fit with their overall educational plan. The student’s school must pre-approve the credits to be earned while enrolled in Clonlara’s dual enrollment program. To request pre-approval, download our Verification for Accepting Credits Form (PDF) and have it completed by a guidance counselor or other official at the school to which the credits will be transferred.